Out of the gate, only HomePod, Apple TV 4, and Apple TV 4K support AirPlay 2, though manufacturers are able to add support to their third-party speakers as well. Already Apple has outlined many upcoming speakers including those from Sonos, Pioneer, Libratone, Marshall and more that will gain support. Chances are, you've heard of the headline features of AirPlay 2, namely multi-room audio and stereo pairing on the HomePod. That doesn't begin to scratch the surface of the true benefits of this impressive update. Notably, there is now a substantially bigger streaming buffer. This helps reduce interruptions due to network issues. In our testing, this was very noticeable. Audio drops were down significantly from the original AirPlay. Secondly, there is now tighter sync between devices, which reduces the lag quite a bit in most situations, and lends itself to multi-room audio. There can still be a bit of lag when starting/stopping a stream, but it is definitely less than in the past. Siri is also better equipped for streaming audio. She can be asked to play/pause music on any AirPlay 2 speaker, regardless of the manufacturer. Your iPhone still stays in the middle with third-party speakers though, with audio going to the device first before being re-streamed to the speaker. An extremely handy new feature is the ability to move audio. Just ask Siri on the HomePod to "move the music to the living room" and she will. AirPlay is also now more independent. Instead of constantly being interrupted by a phone call, a game, or a video, AirPlay 2 can continue to stream in spite of all of this. These annoyances have plagued users for ages and these tweaks make it much more usable, especially compared to other smart speakers. And, AirPlay 2 speakers are a part of HomeKit. Any AirPlay 2 speaker will appear within the Home app and can be assigned an individual room like any other accessory. Speakers can be played/paused from within the Home app, and included within favorites. HomeKit support seems to end there though, as speakers still aren't able to be included in any scenes or automations. Amazon recently added music to routines and schedules with Alexa, putting Apple further behind in this regard. Hopefully, Apple remedies this soon. Using AirPlay 2 is as easy as the original. Swipe into Control Center on your iOS device, and tap the AirPlay icon within the music control. Here, all of your AirPlay and AirPlay 2 speakers will appear. Any speaker that supports AirPlay 2 will have a circle aligned to the right, whereas original AirPlay speakers will have nothing. Each speaker you select to cast to will be marked with a check within the circle. You can select as many AirPlay 2 speakers as you want, though they cannot be used at the same time as an AirPlay 1 speaker. You can also access AirPlay from within any app that supports it. Pandora, Spotify, YouTube, Audible, and many more all add a quick and easy AirPlay icon right within their apps. Apple TV is also AirPlay 2 ready now, so during any playing video a swipe down from the top brings down the info bar. 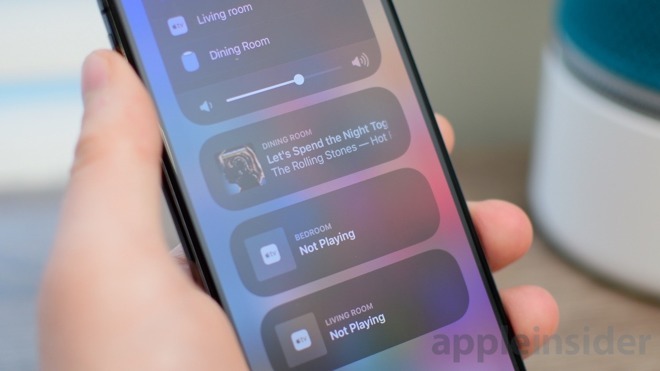 Swiping to Audio shows any AirPlay 2 speakers that can be streamed to. If on the home screen, a long hold of the play/pause button will also bring up the AirPlay controls. AirPlay 2 isn't without its drawbacks. As mentioned before, third-party speakers can't stream directly, keeping the phone in the equation. If the phone ever dies or goes outside network range, the music will end. As of now, Macs aren't invited to the AirPlay 2 party, still relying on the initial protocol. 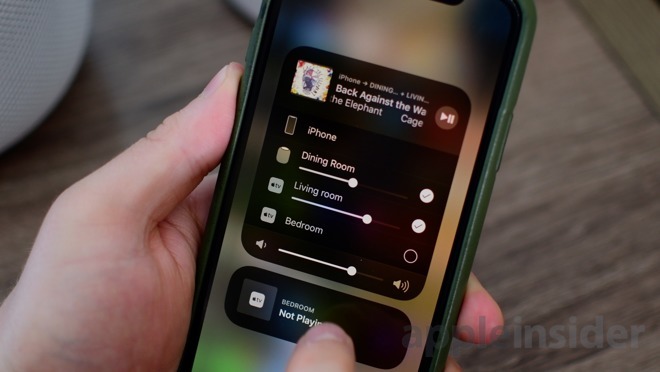 That means streaming audio to any AirPlay speaker — even one that supports AirPlay 2 — still has a substantial delay, making watching videos nearly impossible. System audio can only be sent to one speaker at a time, but multi-room audio is still available within iTunes. We are making the guess this particular limitation has to do with the fact Macs currently don't support HomeKit. If the Mac should gain HomeKit support, say at WWDC, this could change. For manufacturers of third-party speakers, AirPlay 2 is more demanding than in the past, which makes it impossible for some to be upgraded. 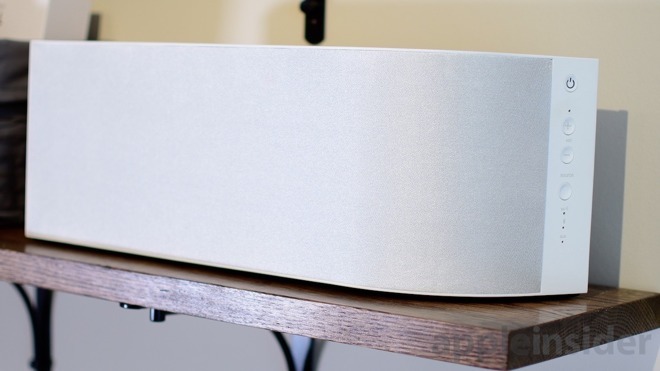 Take the Wren V5, a popular AirPlay speaker. It doesn't have enough onboard memory, and won't get the advantages of AirPlay 2. A lot of uncertainty is going around as to what will be able to be upgraded and which speakers won't. The biggest and most obvious limitation though is it is completely tied into the Apple ecosystem. Anyone rocking an Android handset will be completely left out in the cold. A few third-party speakers get to participate, but HomePod and Apple TV are still the shining examples of how it should work and have their own distinct advantages. Even though it was substantially delayed, AirPlay 2 is definitely worth the wait. Quicker connecting, larger buffer, multi-room audio and a HomePod that is finally starting to be competitive. This is another example of how Apple has tightly integrated their software and hardware, which really pays off for those who have embraced Apple's family of devices. It will be interesting to see how quickly third-party speakers adopt Apple's latest streaming tech, with some promising updates within only one to two weeks. Hopefully, we see more exciting news regarding AirPlay 2 speakers, as well as their integration with HomeKit, at WWDC18.